Kenny Garrett is a jazz saxophonist. He was born in Detroit, Michigan in 1960. His father was a tenor saxophonist. Kenny's career took off when he joined the Duke Ellington Orchestra in 1978, then led by Duke's son, Mercer Ellington. Three years later he played in the Mel Lewis Orchestra (playing the music of Thad Jones) and also the Dannie Richmond Quartet (focusing on Charles Mingus's music). 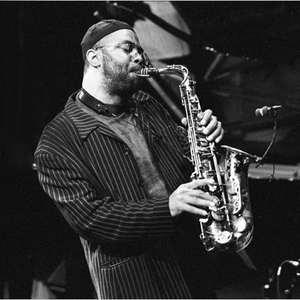 In 1984 he earned a shot at his first album as a band leader, "Introducing Kenny Garrett". From there, his career has exploded into 11 albums (as a leader) and numerous grammy nominations. During his career Kenny has played with many Jazz greats such as Miles Davis, Freddie Hubbard, Woody Shaw, McCoy Tyner, Pharoah Sanders, Brian Blade, Bobby Hutcherson, Ron Carter, Elvin Jones, and Mulgrew Miller. His playing style is best described as incredibly strong while at the same time very melodic. Much of Garrett's music also contains influence from Asia, as is especially prevalent in his 2006 recording, "Beyond the Wall." Kenny Garrett is regarded as one of the top jazz saxophonists of the current era.